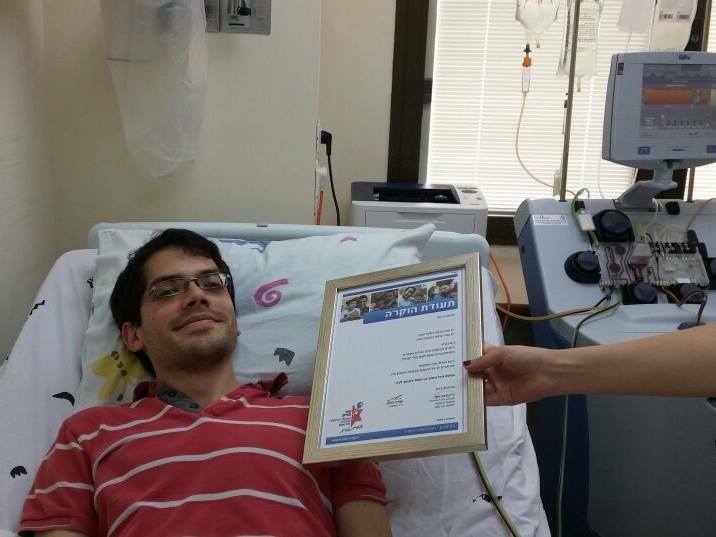 In July 2015 Ezer Mizion’s Bone Marrow Donor Registry facilitated 23 lifesaving transplants! Ira & Ingeborg Rennert Donor Pool – 2 lives saved! A man donated his stem cells and saved the life of a woman. This is the ninetieth lifesaving transplant facilitated by the Ira & Ingeborg Rennert Donor Pool. A special needs caregiver donated his stem cells and saved the life of a man. This is the ninety first lifesaving transplant facilitated by the Ira & Ingeborg Rennert Donor Pool. An IDF soldier donated her stem cells and saved the life of a woman. This is the thirty fifth lifesaving transplant facilitated by the David & Sarah Farajun Donor Pool. 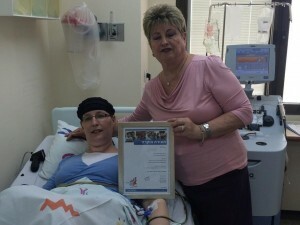 An IDF soldier donated her stem cells and saved the life of a teenaged boy. This is the first lifesaving transplant facilitated by the Ben Josef Family Donor Pool. An army career officer donated his stem cells and saved the life of a woman. This is the seventh lifesaving transplant facilitated by the Anonymous CF Donor Pool. An IDF soldier donated his stem cells and saved the life of a teenaged boy. This is the fifteenth lifesaving transplant facilitated by the Damaghi Family Donor Pool. An employee at Weizmann Institute of Science donated his stem cells and saved the life of a young woman. This is the first lifesaving transplant facilitated by the Levi Yitzchok & Yehudit Rachmani Donor Pool. A student of law and economics donated his stem cells and saved the life of a young woman. This is the eighth lifesaving transplant facilitated by the Moise & Chella Safra Donor Pool. An IDF soldier donated his stem cells and saved the life of a young woman. This is the first lifesaving transplant facilitated by the Emanuel & Ellen Kronitz Donor Pool. A Rabbinical student who has completed army service donated his stem cells and saved the life of a toddler. This is the forty fifth lifesaving transplant facilitated by the George & Pamela Rohr Donor Pool.